My first job was a minor clerical role in a govt department in 1978, and that had a non disclosure agreement. I see no reason why a R&R band just a few years earlier wouldn’t have the same. Sure, the main group members can be excluded (and seem to have been) from telling their stories. The ‘hired hands’ are another matter. So possibly a positive spin story is deemed to be ok over a tabloid tale? So where's Reynaldo? Did the Mike stuff chase him off? And we come full circle returning to what was said a few pages ago: If Rocky and/or Stephen Love had the facts and the truth on their side when they were sharing details of various issues and lawsuits and whatnot involving Mike, there would be *no grounds to sue*. That's as simple as it can get. Or even more simply, the burden of proof for someone suing for libel or slander depends entirely on first proving that lies and falsehoods were told about that person or persons enough to damage them personally or in a business sense. If the people being sued are telling the truth, there is no case. It's that simple. So assume Rocky's claims are true, and he got the ubiquitous threats from Mike Love and his lawyers...If he told the truth, Mike and the lawyers could go sh*t in their collective hat for lack of a better term. If Rocky was lying, then yeah - You can't publish known lies about someone without almost expecting legal action. I will repeat the words from my learned attorney and friend, "A rich, vexatious client can always cause trouble." You got an extra $25-35 thousand dollars around to prove you are telling the truth. Mama didn't raise no dummy. So where is that audio tape, what happened to it? TRULY bizarre to write a garbage book full of long debunked inaccuracies and false portrayals of the dead and then come onto a forum to make weird spiteful comebacks to people. Isn't it peculiar how people get upset when they're trying to find the actual definition of something and are instead sent to an urbandictionary page written by a middle schooler? Interesting post. Have you read the book OR my posts? "And we come full circle returning to what was said a few pages ago: If Rocky and/or Stephen Love had the facts and the truth on their side when they were sharing details of various issues and lawsuits and whatnot involving Mike, there would be *no grounds to sue*. That's as simple as it can get. Or even more simply, the burden of proof for someone suing for libel or slander depends entirely on first proving that lies and falsehoods were told about that person or persons enough to damage them personally or in a business sense." It's never as simple as that. Even if the truth is on your side, the cost of defending yourself from a lawsuit is enormous. Most people will give it up rather than face the time and costs of attorneys' fees in defending themselves from a lawsuit. If you are sued and you win, you don't get your attorneys' fees back, they are down the drain. And if a judge makes a decision that turns a case upside down, even if that decision is wrong, that is one of the risks of a lawsuit. The road to good intentions is paved with all kinds of bad and incorrect outcomes in lawsuits, especially in sunny California. "A rich, vexatious client, can always cause trouble." Thanks for your post. I am sensitive to this as you might imagine. Side note: this is also probably why the brand licensing issue will never be touched with a ten foot pole. Also - I'm sure I've seen dozens tv shows/movies of people getting paid off and contracts drawn up in exchange for silence and photos/video to simply vanish, etc. Feels like we're in a Dallas or Columbo episode or something. We'll certainly never know the real story here, but it would seem that an about face and change of tone doesn't just happen out of the blue for no reason. I'll just have to assume the tape (and Rocky's original intentions/tone as stated in his messages on this board) went into the void of the "lost chapter" in Mike's bio where Mike -with great sincerity and conviction - talked about regretting filing the failed 2005 lawsuit against Brian and all the embarrassing details of that. 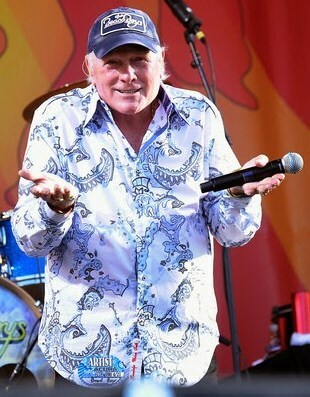 So the suggestion is, and it's no surprise for those who have followed this band's history, that anyone who might have something to share or publish or write in general has to walk on eggshells out of fear that Mike Love and his lawyers will start throwing lawsuits and c&d orders at them to try to stifle anything he doesnt want to have made public. That's nice, isn't it? Avoid things by having an atmosphere of fear and discourage people from talking by threatening them through the legal system instead of dealing with the issues like a man. Real class, there. Positivity personified. It's the way of the world. Same quote, " A rich, vexatious client can always cause trouble." Ron, thanks for coming on to dialogue. I've been writing my thoughts and opinions in this discussion to the point where it's repeating the same points and questions, however when such a radical if not bizarre shift in both focus and opinion comes from the same man in the span of two years, speaking on the same people and subjects both times related to his book (Wipeout originally, now Endless Wave), something starts to sound..."off". To be polite. Reading your recent posts as of today, it's almost crystal clear. If we're wrong, please feel free to correct. The fear of legal action from Mike Love changed the whole thing. If so, that's pretty damn sad. But in one sense, it might be fortunate that we got to read the "real" Rocky opining a few years ago versus the Rocky whose opinions and statements of fact changed out of fear that he'd get screwed over by Mike through the legal system. Which in itself is ironic since one of the focuses of Rocky's original manuscript for "Wipeout" was how Mike screwed over his brother and cousin among others similarly involved. PS: I assume the audio tape is still in existence? It would be great to have that come out some day if it's as explosive as Rocky suggested. Oh lordy, I hope there’s tapes. If there are, there's probably as good a chance as hearing them as we'd have of ever hearing the Brian/Carl-produced Manson tapes. The tape that is discussed in the Pamplin book is the audio recording of the Australian punch-out conference with David Frost. According to the book, Stan Love secretly taped that meeting. No mention of whether or not that recording has survived. That is not the tape we're thinking of and also not the tape Rocky mentioned here which was potentially explosive. So, the new narrative of the band's history has Dennis saying "Mike Love IS the Beach Boys! Without him, we're nothing!" "The thing I wonder about is where does Mike's creative spark come from?" "Mike's next album makes Pet Sounds look like sh*t!!!" Maybe it'll be on the 1978 copyright extension release. In answer to the 180 degree turnaround regarding the tone of the book, which keeps coming up, I'll try and give a cogent answer. The original manuscript was very interesting, but problematical. I finally found a publisher that saw the potential that I believed was there for a publishable book. During the publisher's editor polish and rewrite, I had myriad occasions to listen to Rocky recount amazing story after amazing story. Often, during what turned out to be a year of patient and fascinated listening I would remark, "Why isn't that in the book? That's a much more interesting bit of history than other incidents that ARE included and could be considered mean spirited and legally dangerous, at best." When the edited version arrived I read it and and asked if I may take a writer's pass at it. Rocky was naturally suspicious. "Who was I to take a pass at his book?" It was a fair enough response for sure. I had written screenplays, directed an unheralded low budget feature film, but still. I am experienced in talent management, music and film biz, but still, it was his book. He reluctantly agreed to look at a first couple of rewritten chapters. During that year, we'd discovered that his written take on the subject did not actually match up with what I was hearing. Most glaringly, and this has caused lots of suspicion here on this site, was the fact that Rocky actually had an immense respect for Mike Love in many areas. His response to that revelation was, "Really?" There were other areas that were similarly revealed about Stan Love, Steve Love, Dennis, Carl, lawsuits, family squabbles, non-disclosure agreements and more. There were other areas where what I heard was not alined with what was written. I was encouraged to continue. About 2/3 of the way through my pass he remarked yet again how pleased he was with what I was doing and how it was considerably different from the tone of the original manuscript. Both Rocky and the publisher felt it was a better and more commercial product and book that was emerging. We are, after all, in the book business. We are not free to express as we may on this site and as Rocky has in the past. Somewhere along the line, I said to Rocky, "If you praise my writing one more time, I'm going to ask to share writing credit with you." To my "fall off the couch surprise" he agreed. So we finished the book in concert with a more "tolerant, forgiving, insightful" and yeah, dare I say, "commercial" tone in mind. Clearly we did not pay enough attention to specific details for the learned BB aficionados' on this site, but I can promise you the insights we discovered from our shared review of what we covered are revelatory in their nature. I believe we accomplished a behind the scenes look at things that is quite interesting, remarkable and enjoyable. Ron, forgive me if this has already been asked, but did Rocky ever mention Mike’s early 90’s lawsuit against at all? Yes, there is quite a bit more about that lawsuit that I have heard about, but some non disclosure agreements prevent a commercial product with that information on display, so to speak. I have also seen the docs regarding Stephen Love's exoneration of all embezzlement charges against him. I actually have copies of those docs. Ron, what do you know of the current relationship between Rocky and Stan? Are they on friendly terms? Seems like Stan was a big help with the book. And are Stephen and Stan also on good terms? There's a lot of water under those bridges. I'm hoping that this book may repair some of those relationships. You question is above my pay grade. Sorry. Ok... I went back and hacked through the RockRush thread for context. Having read this work, I'll confirm that there's no smoking gun on the songwrtiting credits front. Based on the nature of the earlier Rush thread, it would have been silly for me, as a reader, to expect anything of that sort in the book. In my case, that had no bearing on the decision to read the book. The book is not a pro-Mike book; it is, among other things, a "let's steer clear of Mike" book. What it is, in the end, is an anti-Dennis Wilson book, and perhaps also an anti-Wilson brothers book. This is because what comes across in the book – per Rocky’s opinions, perhaps influenced by Reynaldo/Ron – is that as of the late 1970s, the Wilson Bros. were, each in his own way, obstructing the continued success of the Beach Boys and therefore had to be dealt with in different ways. This probably accounts for why fans object to the book and to Rocky and all that, but it should be obvious (even before this book came out) that Rocky had the implicit backing of the Beach Boys organization to do whatever it was he was doing. And - apologies for getting didactic - but it's worth keeping in mind that the BB story is about a number of different things. Overall, there's (I) Music (art, creativity, expression); (II) Business (how to make money in the rock 'n' roll business; and (III) Family. So any potential reader ought to know that the RockRush book has nothing whatsoever to do with music. By the time Rocky enters the picture in the 1970s, there is no more music in the Beach Boys. It is a business, and a family business at that. Therefore, you get a viewpoint which portrays certain people as "good guys" and certain people as "bad guys". It is basically the flip-reversal of how story of the Beach Boys in the mid-60s is commonly told. Dyuring the Pet Sounds/Smile era, the artist is the good guy, the hero, while the money guy is the bad guy. As of the mid and late 1970s, the organization has turned 180 degrees and the roles are reversed. It is now a 100% commerce organization, and the messed-up, chaotic artsy types are getting in the way of what "Beach Boys" had come to represent. This in my opinion is why some fans object to Reynaldo and Rocky and that whole mentality - because we fans like the Beach Boys because of their music - the art - and have no interest in their later efforts to stay in business. So the book is yet another reminder - "this is a business"
I will also say that this book is a bit strange in that it appears to be a case in which the co-writer came in not just to shape the grammar and syntax, etc., but actually to impact the substance of what the primary author wanted to say. Also, based on the previous RockRush thread, it appears that the draft excerpts Rocky posted remain more or less unchanged in the final version. That is, in the end, it may be that Rocky did more of the writing than might otherwise be assumed, and that Ron/Reynaldo did more of the interpretation of the material than might otherwise be assumed. There's a lot of water under those bridges. ...and as Bob Dylan sang, "a lot of other stuff too..."
Thanks for that interesting post. I had hoped that we had painted Dennis as a sick person, and not a bad person. Clearly Dennis suffered from the disease of addiction and we hoped to have pointed that out in various ways. Dennis may be, in my opinion, the most interesting and cinematic character in the BB constellation and certainly the most trajic. The disease of addiction, as anyone can discover through the Alanon program is a family disease. Carl may have been in the grips as well, but to become aware of Dennis' downward spiral into addiction was both fascinating and horrifying and had far reaching effects on his own brothers and the trajectory of the BB overall. He was enormously talented and Pacific Ocean Blue, his solo album, showed great promise. Carl was in the same vein, and had each of them not poisoned their individual talents and potential at least to some degree due to the horrific disease of addiction, the fans of this music would have had lot's more to enjoy from the Wilson side. The Love brothers, all significantly still alive, have a remarkably intricate history and it ain't over yet, I'm hoping. From the sidelines where I stand and observe, there's a deep well of love, respect, and sibling rivalry that went a bit off the tracks and I'd be most happy to see those relationships heal. Nothing is impossible while people are still alive. Forgiveness is a beautiful thing especially where families are concerned. We're all capable of it and these three talented and powerful men I believe have it in their power to be connected again. Powered by SMF 1.1.21 | SMF © 2015, Simple Machines Page created in 0.163 seconds with 22 queries.